I made this Avocado Filled with Chicken two weeks ago, but somehow never got around to posting it. This recipe is so simple, yet so delicious. If you have your own homemade roasted chicken…perfect. If not, use your favorite store bought chicken instead. 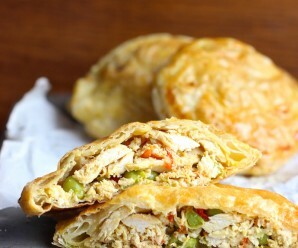 It is also great way to use your leftover chicken. These stuffed avocados can be served as an appetizer or as a salad. In a bowl, combine chicken, cumin and paprika. In a small bowl, combine crema fresca, mayonnaise, ketchup, lime juice, salt, and pepper. Add small bowl mixture to chicken mixture, tossing gently to coat. Cover and chill. 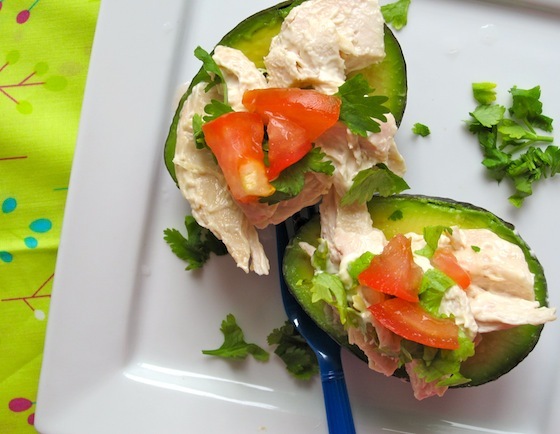 Fill the avocados with the chicken mixture, top each avocado with tomato and sprinkle with chopped cilantro. Serve immediately. Definitely sounds good to me! What a great combination!! And healthy, too…very California! I love avocados and I can’t believe I’ve never thought to stuff them before! What a great idea. i have only recently got the chance to taste avocados and I must say the texture is so smooth and amazing…I love the way you stuff yours with chicken….yummy! Wow, Erica, that looks amazing and Alexis would go nuts over it. She gets a stuffed avocado dish at our favorite Mexican place that she adores. This is a wonderful use of that “leftover rotisserie or bbq chicken” that we so often have. love avocados and chicken together! 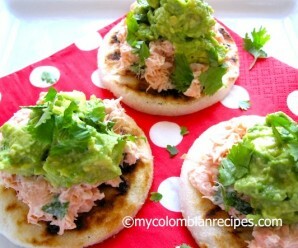 If you smsh it all and get an arepa you can do a Reina Pepiada from venezuela. The chicken/avocado combo is really delicious and you did a great job. I love fresh avocado. I’d like to learn how to use avocados more in my cooking. Just put avocado slices on top of any savory dish as garnish, hehe. This looks really delicious, Erica! So healthy too, especially with the avocado. And I love the presentation! 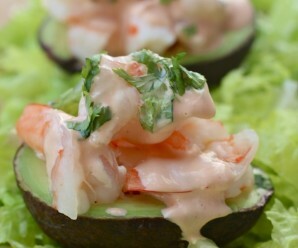 Erica, I love how you prepared this avocado with chicken…great combination. Love it and will definitely give this a try. This sounds delicious. 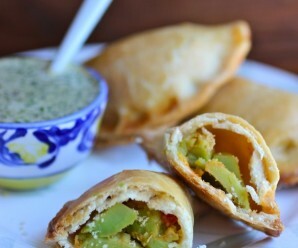 I don’t use avocados often but love this recipe and will try it soon.